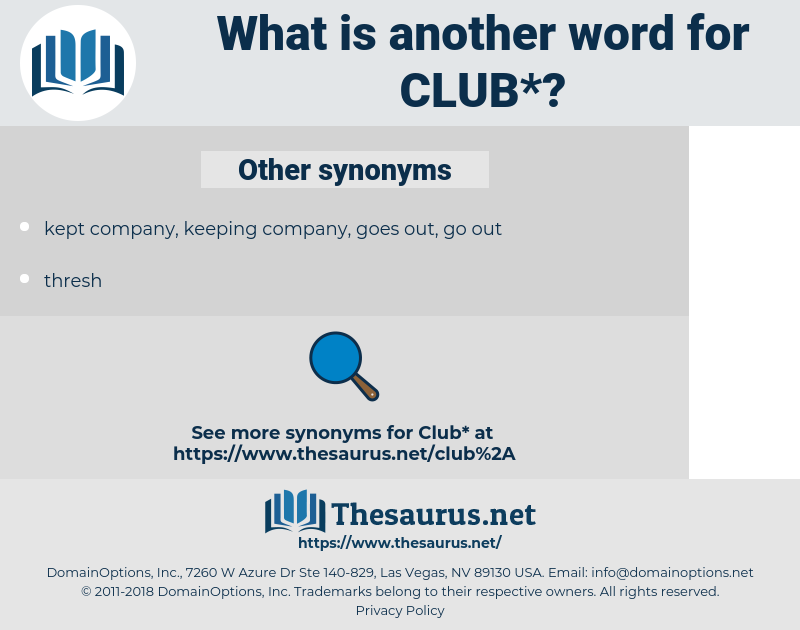 What is another word for club? To raise, or defray, by a proportional assesment; as, to club the expense. 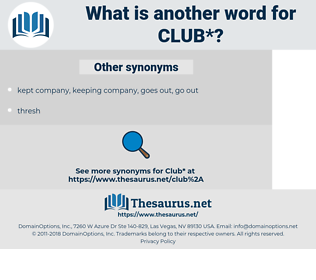 discotheque, cabaret, bar, clubhouse, disco. At the Art and Nature Club. But my sister is having some kind of a silly club there to - night, and I promised to go. billystick, nightstick, bludgeon, billy club, Indian Club, knobkerrie, cudgel, lathee, knobkerry, truncheon, billy, lathi, baton, bat. collect, garner, pull together, gather. forgather, unify, foregather, meet, assemble, unite, gather.